It can change the way we see everything. 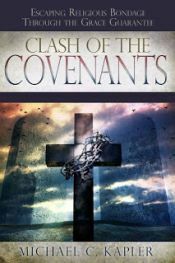 Reading Old Testament passages from a New Covenant perspective, through the eyes of grace. There were those who recognized Jesus as the Messiah because of what they knew to look for in the Mosaic law, the Psalms, and the Prophets. After Jesus was resurrected, He opened the minds of the disciples to understand the (Old Testament) Scriptures, by revealing what they said about Him. “These are my words that I spoke to you while I was still with you, that everything written about me in the Law of Moses and the Prophets and the Psalms must be fulfilled” (Luke 24:44). 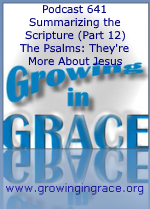 Christians often see verses out of context when they are seeking a special Word from God within the Psalms for application in their personal life situation. While this can certainly occur, in reality, quite often it may be written from the perspective of someone who was trapped under the curse of the law, or looking forward to something better (Christ). We don’t live under that heavy requirement of those commands, but now abide in Christ. Instead of relying on some of these passages to figure out where we are supposed to go, we can look back and begin to see them as a road map that brought us to where we already are… in Jesus. That’s where we find wisdom, peace and comfort - while being led by the Spirit.